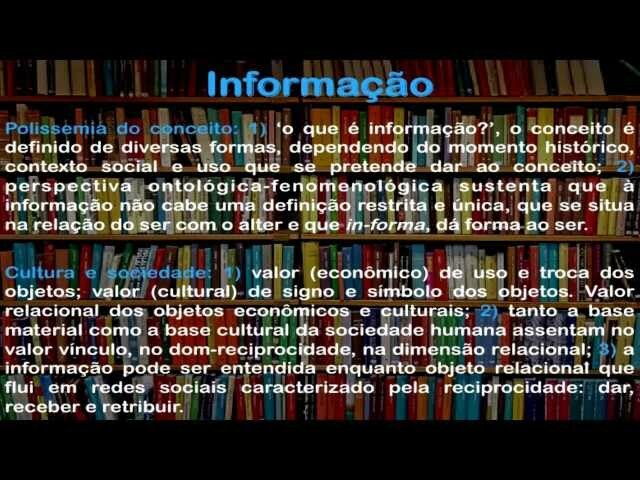 January « 2016 « Blog Marcos L. Mucheroni Philosophy, Noosphere and Ciberculture. 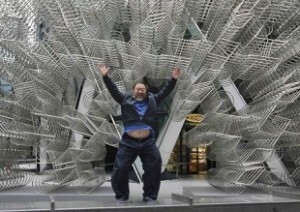 It is still little known to the general public Ai Weiwei, an artist of modern China, but that is also his critic, that its works have been to Brazil, now he protests against the measures on refugees adopted by the Parliament of Denmark, preventing your and “private” civil rights o have assets, phony capitalism. His protest was about to close his Breaks exhibition at Faurschou Foundation of Copenhagen, as is your Instagram profile, and also in the Aros museum in the west of the small country, where already pulled its shows this institution. Said the artist on Instagram: “as a result of this unfortunate decision, I will have to leave the exhibition to express my protest against the decision of the Danish Government,” whose work on display is a criticism of your country A New Dynasty, Made in China. The artist said his decision was supported by the director of Faurshou Foudation, Jens Faurschou said on social network media that “regrets the decision of the Danish Parliament to place itself at the forefront of the inhuman policy in the largest humanitarian crisis in Europe and the Middle East “. The artist currently exhibits in Spain, according to its “Forever” work in the figure, had a recent controversy with the Lego factory that refused to send parts to the artist, and he asked fans to send him legos, the response was overwhelming. (Português) Conquistadores portugueses: será verdade ? (Português) São Paulo pode parar ? Maybe it was David Bowie who first said Heroes song the phrase: “We can be Heroes, We can be Heroes Just for one day”, can not be heroes, just for one day, we can be heroes, but It is what comes to mind when I think of it. But there is something like everything to do police cameras and services today and also what they do in social media politicians and unscrupulous propagandists. There is also what is widely discussed as public and private sphere, from philosophers (like Jürgen Habermas, Norberto Bobbio and John Dewey) to media analysts (Gueorgi Kossinets and Duncan J. Watts and many others), but very little is analyzed is life Community or on its lack of understanding of what is or consider it too idealistic for today’s times, but the networks exist and are there. The private sphere was considered in the Greek origin of our “modern state” as the “oikos” the sphere of home and family and what is proper (idion) to man. But what is at stake in modern democracy is the separation between the economic power and the average person, more than that a person without rights, as Giorgio Agamben would say: the “Homo Sacer“. I get the thought of Antonio Gramsci, famous among duty leftist, but a great thinker: “There are two types of politicians: those who fight for consolidation of the distance between rulers and ruled and those who fight for overcoming this distance” is the problem scaling between social life and politics, because today everything is visible. A text widely cited an organization that participates in Davos says that 5 million jobs over the next five years around the world, the fourth industrial revolution will cause “major disruptions not only in the business model, but also in the labor market over the next five years, “states the text. After the first revolution (with the appearance of the steam engine, came the second (electricity, assembly line) and third (electronics, robotics), comes the fourth industrial revolution that will combine numerous factors such as the internet of things and the “big date “able to transform the economy, but also to manipulate markets, labor and the environment. It is speculated that there might be meeting to discuss curbing crises like the current, between Turkey and Russia or Iran with most Gulf countries, after the execution in Saudi Arabia of a Shiite religious leader, and the opening dialogue with Iran is welcome, but we have just witnessed a radical attack on a university in Pakistan. 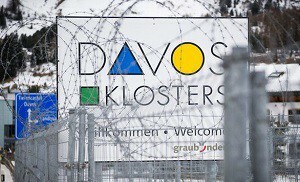 Davos can not be and is not the last word, it’s time to listen to persons. The World Economic Forum (WEF) in Davos evolved from discussions a small number of economists and politicians in the 1970s, for academic initiative Klaus Schwab, and which now hosts over 2,500 participants and more than 40 world leaders including people from the Brazilian government, thousands of managers or CEOs, as well as a number of Nobel laureates, the vast majority of Economy. As we have said on the blog theme is the recommended Fourth Industrial Revolution, the robots entry and ciberizadas structures in production, daily and family life, some speak in the loss of 5 million jobs, but at the same time would generate about 3 million the that still gives a 2 million deficit, an economy at idle, the estimate is a global growth of 2.6% this year, which is still little. 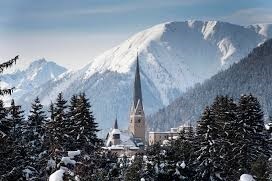 Davos is a small and rather high city in Switzerland, with good infrastructure of tourism, because it is a traditional ski, and very cold this time of year. Beyond the fourth industrial revolution, increasing immigration issue in Europe, the global security issues, ecology with the recent agreement of cop21, wars beyond the economy itself must be present at this meeting, the general mood is not very optimistic. The Brazilian delegation will there headed by Finance Minister Nelson Barbosa, with a mission to recover the reliability of investors in Brazil, between the heads of state have confirmed the prime minister of France Manuel Valls, President of Germany Joachim Gauch, the Prime Minister of Sweden Stefan Löfven and the head of government of Greece Alexis Tsipras. The US, wrapped with the primary elections, choices of which candidates are running for parties, send Vice President Joe Biden, Secretary of State John Kerry and the Defense Ashton Cartes, Israel will have Prime Minister Benjamin Netanyahu. We did our analysis in previous posts, is now trying to understand what they will say. The state of social welfare, was the idea that the economy is the source of happiness and well-being among people, this concept endures in all societies since most leftist Marxists that Marx himself, to right-wing as Donald Trumph. When I read the commentary of the book of John Micklethwait, and its management editor, Adrian Wooldridge, The New York Times, besides being a good overview of what most creative conservatives are thinking, I saw also a possibility of re-reading of the socio-political-economic crisis world, and Brazil in particular, for its eccentricity. Our brazilian eccentricity is see colonels and their gunmen parade in a government that much of the religious left (does not mean believer) defends, and part of this religion is that business with Collor, Maluf and Renan Calheiros are necessary for the welfare state, but that in practice there: 1.6 million dengue cases, closing hospitals or letting people die in the line, disasters (which are not natural) ignored (in Brazil) and others disorders. There, they suggest a reading of Hobbes, like: “The full story of how the West has established its leadership in state-making would be a monumental task,” according to the NYT, but unaware of the debate with Robert Boyle on the vacuum existence, It is also ignored what the big industry and machinery have made the peasants migrating to the described cities in Emile Zola’s books (Germinal) or Victor Hugo (Les Miserables) or the work of “The Potato Eaters” of Van Gogh . It is not wrong to analyze the objective criteria of technical revolutions, Marx also did this in Machinery and Modern Industry, Chapter XIII, featuring this mode of production, “is the general leveling of operations, so that the movement of work from one machine to another might happen in a very short time and without special training, “I already describe something about the fourth industrial revolution and left perhaps the call of technicalities or reactionary, but Marx’s assumptions were not a belief. What is at stake is a world after a major “cultural” industry have already taken place between the 2nd and 3rd. 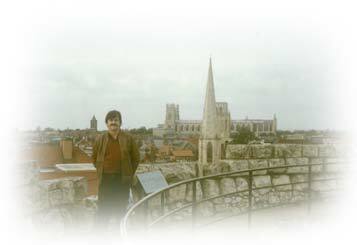 industrial´ revolutions, where the “cultural” industry and “The Work of Art in the Age of Mechanical Reproduction,” Walter Benjamin, and there is more art and humanism possible, if not overcome the idea of industrial revolution. 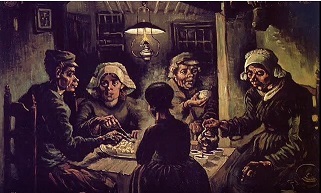 The face of the “Potato Eaters”, are now of stateless migrants who roam the world looking for a home and an identity, the technique of reunion with the artistic production, and humanization the faceless crowd is the necessary revolution. Discuss economic, rather than welfare state, is still discussing basic issues of right to health, education and housing huge populations faceless, in the XXI century. The debate over whether the vacuum was made in the seventeenth century between my contractualist Thomas Hobbes (1588-1679) and the experimentalist Robert Boyle (1627-1691), the first book Leviathan and discuss the structure of society, where man only could be “controlled” by a strong state also discusses the structure of matter, but Boyle’s experiments in the 1660s showed that the vacuum was possible, this debate is on the book by Shapin and Sheaffer: Leviathan, or The Matter, Forme and Power of a Common Wealth Ecclesiasticall and Civil (published 1985) and was awarded the Erasmus Prize in 2005. The theoretical problem there is the production of acceptable knowledge production methods and shows how social factors are related to different ways of producing them, not about this, but in fact, Boyle’s experiment was important for the industrial revolution it was If this influenced the emergence of boilers fired water vapor, later propulsion engines, while Hobbes later modified reformulates the idea of ​​”social contract” that gave rise to modern republic, and then reshaped by John Locke (1632- 1704) suffered influence of Boyle, and finally Jean-Jacques Rousseau (1712-1778). The meeting Davoz this year (from 20 to 23 January) speaks of 4th. industrial revolution, an American book published last year by John Micklethwait and Adrian Wooldridge says the fourth revolution and the state: The Fourth Revolution – The Global Race to Reinvent the State (Penguin Press, 2014), is not what Davoz discuss, but It is an unspoken agenda: a republican democracy is experiencing a crisis. What is on the agenda is the economic crisis, although act signs of recovery, which should be discussed is how the industrial revolutions: the first in 1784 (production of mechanical equipment powered steel, water and propulsion), the second from 1870: division of labor, electricity and mass production that would later lead to Fordism, the third in 1969 with the production of electronics, IT equipment (Information Technology) and automation, now would be a fourth with the production of cyber-physical equipment but what is this? In the basic text of the World Economic Forum conference are pointed out three factors that lead to think in a fourth revolution and not an extension of the third: the speed, range and systemic impacts. The speed that advances would take place no historical precedent, is it? the explosion of information is analyzed from the 40s, but now the pace is exponentially true. The range is also true, as it is stopping almost all sectors in all countries, even China is experiencing a slight decrease, but should we grow like that? Finally the breadth and depth of these changes herald the transformation of the entire production systems, management and governance, and here we interest them Micklethwait and Wooldridge texts, as well as the discussion of the Economics Prize 2015 Angus Deamon, in his analysis of “consumption, poverty and well-being,” creating tax rules for this, but an analysis of micro-economy and not macros as is usual for this.